Last week and this, I’m introducing a couple of different kinds of beauty opportunities for my female readers. Guys, you know that when your wife is happy, everyone is happy! Below, my friend Yvonne Ortega tells about a special weekend retreat she’s offering. Yvonne is a petite dynamo with great faith and resilience. 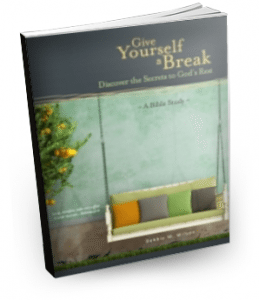 The Moving from Broken to Beautiful Women’s Retreat is for you if you are a Christian woman who longs for a break for self-care, feels like you’re on a merry-go-round and want to get off to catch your breath, or wish you could get away in a beautiful peaceful setting to stop the noise of life and hear your heart. 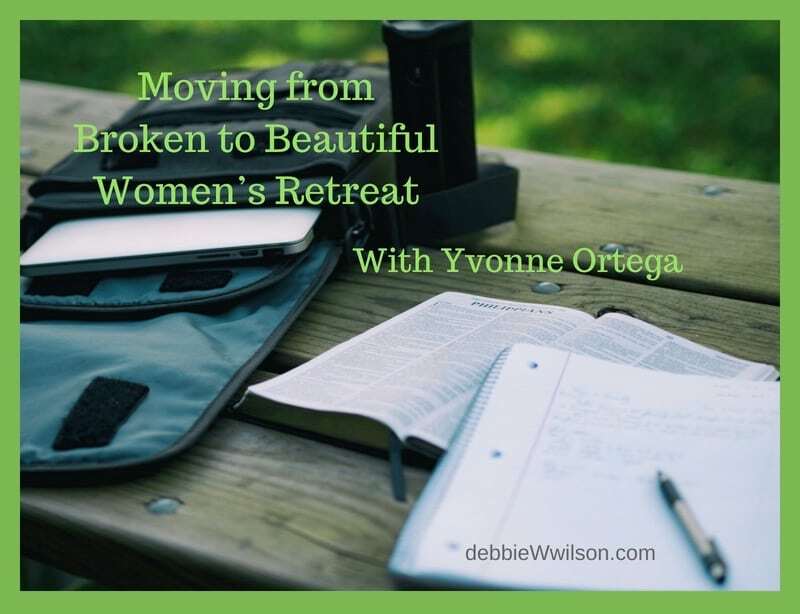 If you are a Christian woman who has lost a loved one, a baby through miscarriage, or childhood through abuse, the Moving from Broken to Beautiful Women’s Retreat is for you. 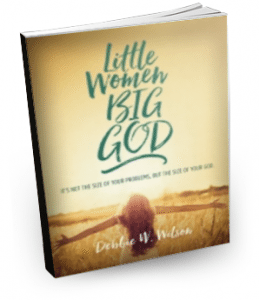 If you are a Christian woman who has lost your health through a life-threatening illness, your home, or job, the Moving from Broken to Beautiful Women’s Retreat is also for you. Perhaps you’ve left behind family, friends, and fellowship after a major move, experienced separation, divorce, or face financial difficulties, the Moving from Broken to Beautiful Women’s Retreat is for you too. This retreat will be at the lovely Springhill Suites by Marriott Virginia Beach Oceanfront. Every room has an oceanfront view. You can easily accommodate three to a room because every room is a suite. The retreat starts Friday night, October 19, 2018 at 7:00 pm and ends at 6 p.m. on Saturday. But the hotel group rate ( $114 a night plus tax) begins on Thursday, October 18 is still in force Saturday evening. That means you can opt for four glorious days and three nights on the oceanfront at a group discount. The hotel rate also includes a full breakfast buffet. You can use the indoor heated pool, the whirlpool, and the fitness room. You can enjoy a stroll or a bike ride on the boardwalk, wiggle your toes in the sand, and wade in the ocean. Because the women’s retreat is after Labor Day, many stores will have reduced the beach items anywhere from 50–75% off the regular price. You’ll have the opportunity to find bargains for yourself, family, and friends. Best of all, you will receive God’s comfort, peace, and hope. You’ll leave with a process for healing and the freedom to move forward in life. 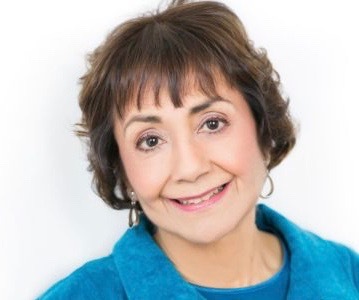 Your speaker, Yvonne Ortega, is an LPC (Licensed Professional Counselor) and cancer survivor. 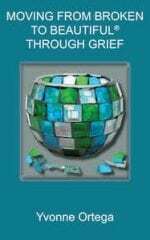 She knows grief first-hand. Within seven months, she lost two aunts, her mother, and her only child. Join Yvonne for this fabulous weekend. Early Bird registration is $85. After September 18, 2018, full registration goes into effect as well as regular room rate increase. Registration includes light appetizers on Friday night, September 19, 2018; lunch on Saturday, September 20, 2018; all sessions, a goody bag with books and other items; door prizes; and a light snack mid-afternoon on Saturday. For those who stay Saturday night, September 20, 2018, we will go to dinner on the oceanfront. Dutch treat. Bring your wallet. We’ll enjoy more fun, fellowship, and food. Question: What do you look for in a retreat? This one sounds wonderful and I can’t imagine any woman who wouldn’t benefit and be blessed. Thanks Ann. Yvonne is a lot of fun and brings depth. I wish you could join us! Ann Musico, this will indeed be a wonderful retreat. Come join us and you, too, can benefit and be blessed. Get in on the Early Bird Registration and the Hotel Group Discount. Both end after September 18, 2018. The retreat sounds like a great time of rest and replenishment! Yes, it will be, Julia Dale. Come join us and get that great time of rest and replenishment for yourself.